University of Arkansas addition celebrates the future with a contemporary rewrite of Neoclassicism. 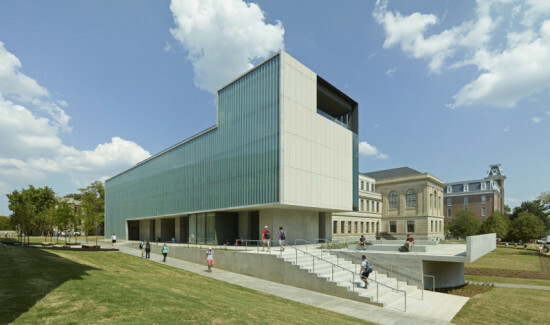 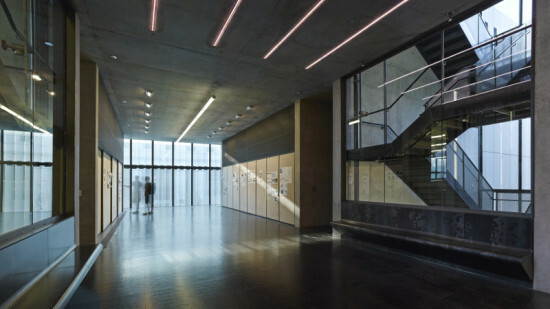 As head of the architecture department and distinguished professor at the University of Arkansas Fay Jones School of Architecture, Marlon Blackwell was uniquely qualified to oversee the renovation and expansion of the school’s home, Vol Walker Hall. To unite the school’s landscape architecture, architecture, and interior design departments under one roof for the first time, Blackwell’s eponymous firm designed a contemporary west wing to mirror the east bar on the existing Beaux-Arts style building, constructed in the 1930s as the university library. 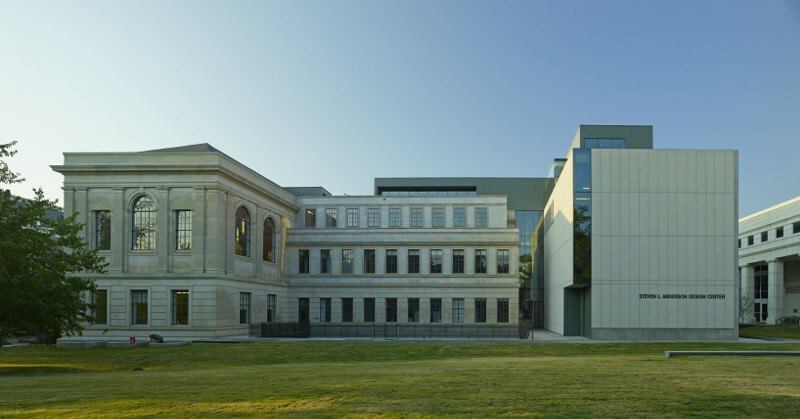 But the Steven L. Anderson Design Center—which tied for Building of the Year in AN‘s 2014 Best of Design Awards—is more than a container for 37,000 square feet of new studio, seminar, and office space. It is also a teaching tool, a lesson in the evolution of architectural technology writ in concrete, limestone, glass, steel, and zinc.